Leigh McFarlane began her career as a CPA and auditor for Ernst and Young, but she has thrived for the last 11 years as a successful, high-end Houston real estate professional. Her expertise is in River Oaks, West University, Tanglewood, Bellaire, the Heights, and close-in Memorial. She is well versed in all aspects of a real estate transaction and has a long record of successfully guiding clients from first-time homebuyers to participants in the largest single-family home sale in Houston MLS history. Above all, Leigh brings hard-work, deep market knowledge, and the special skills to close deals on the best possible terms for her clients while having fun and building long-lasting relationships rooted in integrity and trust. Raised in a ‘real estate family’, Leigh’s passion for real estate runs deep. She loves the energy and creativity required to close successful deals. In her time away from work, she is an active member of The Junior League of Houston and volunteers for Dress for Success Houston. 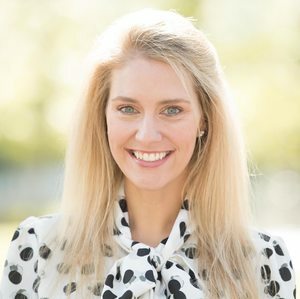 She is a graduate of St. John’s School and earned her Bachelor’s of Business Administration and Master’s in Public Accounting, with honors, from the University of Texas. When time permits, she enjoys traveling with her husband and children, reading, and playing lots of tennis!